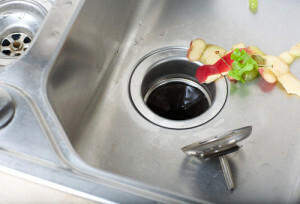 Garbage disposal units are an extremely handy addition to any kitchen sink since they conveniently get rid of organic waste and food scraps that could otherwise create an unpleasant smell in a trash can. Since kitchen disposal units are installed between a sink’s drain and a trap, their shredding mechanisms grind the food for it to be easily flushed down the plumbing systems. Some items can easily clog, break or damage your garbage disposal, which is why you should be cautious of what you put down the drain. Most vegetables contain a lot of fiber, which is why it’s better if you could trash them separately or make sure they’re small enough for the kitchen disposal. Due to their textures, all kinds of seeds, beans, and nuts can get stuck between the blades. Celery and artichokes, onion skins, potato peels and carrot peels can wrap around the grinding teeth of a disposal, or form a paste-like substance that can clog your drains. Always make sure to run water while the disposing unit is on. The efficiency of your garbage disposal can be significantly compromised by oils and fats, that might get distributed all over the shredding teeth. Soon enough, it will cause unpleasant smell coming out of your sink. Eventually, the fat will solidify and result in clogged drains. Some people falsely believe that eggshells can sharpen the blades inside the disposal. In fact, they turn into a sand-like mixture capable of clogging pipes. If you want to preserve your shredder ring, avoid putting egg shells down your drain. The rule of thumb – everything that isn’t food shouldn’t go down the garbage disposal unit! Non-organic substances cannot be broken down into small enough particles to be easily washed down the pipes. Since it’s a kitchen appliance, let’s keep it that way! 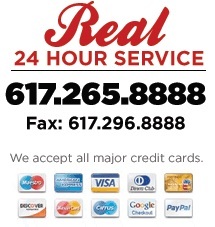 If your disposal unit is already having problems, contact Boston Drain Company immediately by calling us 617-265-8888 or filling out the contact form! ← Why Do I Need a Video Pipe Inspection?